Setting a table just for a photo shoot? Am I crazy? No, I’m a blogger. Flowers bought, I headed home to prep and fluff and decorate to my heart’s content. While I had sunshine. Everyone gets the AS chalk paint out to paint their chargers when setting a nice tablescape don’t they? My stack of gold chargers from Dollar General’s after Christmas clearance were getting annoyed that they were still stuffed on a shelf and ignored. Seriously. They were purchased for a little bit of nothing so they really expected to be put on display much sooner. The gold had to go though, it just wasn’t the look I was after. So out came the paint and in less than 10 minutes I turned six of those chargers Duck Egg Blue. And I think the chargers are happier in a lovely blue anyway. The paint dries so fast I was setting the table as soon as I had the linens ironed. When you don’t have cloth napkins the color you want, improvise. I had some white flour sack tea towels. I tore them in 4ths, folded them the size I wanted, tucked the raw edge in and pressed them good. This was just a tablescape photo shoot after all. If I were serving a meal I would have taken the time to sew some simple hems and then folded and pressed. 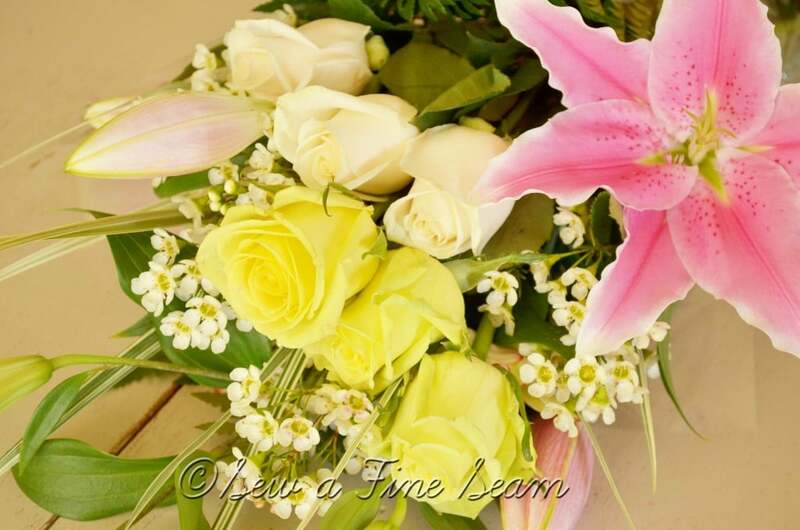 Flower arranging is fun. I recommend buying flowers that you like and creating your own centerpiece. There is a ton of inspiration out there for creating unique centerpieces. Making some fun food the next day to photograph on the nicely set table would be fun too. Didn’t happen this time though. I did have good intentions of trying to do that but it didn’t happen. The sunshine didn’t last either so it was ok.
My girls begged to eat in the dining room, my husband asked whose idea it was to eat in the dining room in a tone of voice that said he thought it a crazy idea. I told all of them not to touch – it was for a photo shoot only. 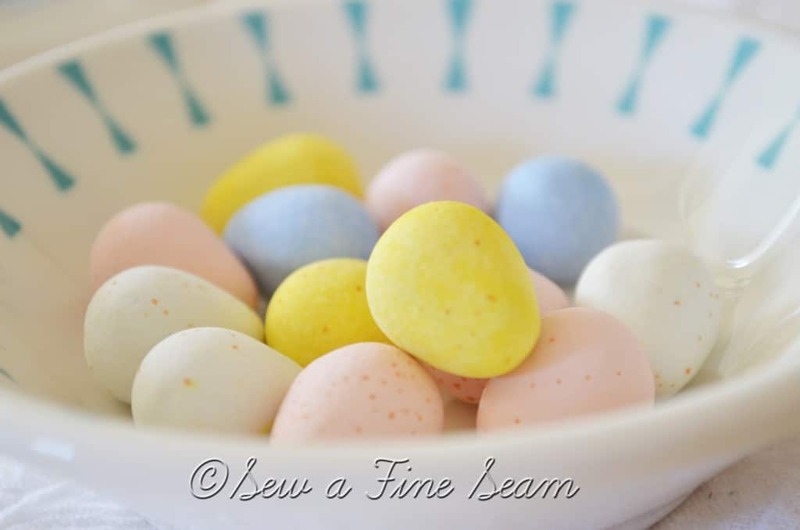 I really must reset the table and make a really yummy meal for Easter. I think after looking at my table for the 4 days it sat there, my girls probably deserve to eat at a fancy shmancy table don’t you? Have you ever set a table just to take pictures of it? What do you do to celebrate Easter? 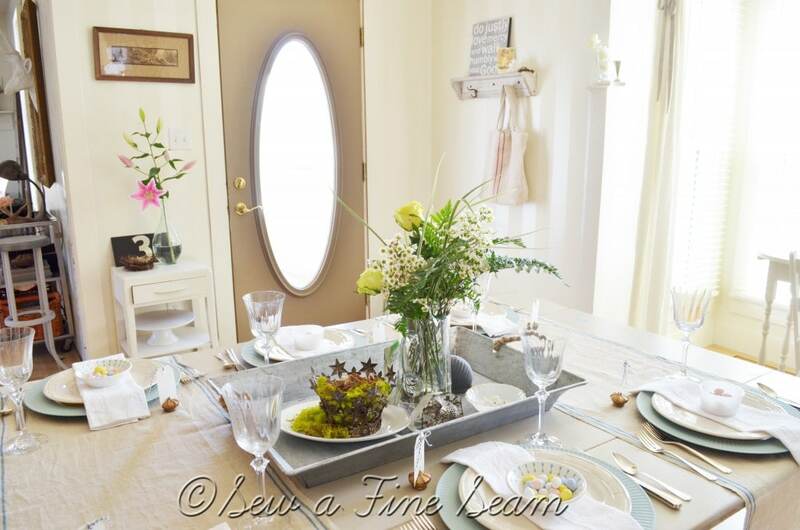 I love your fresh Spring table setting! I like how you painted the chargers blue and then filled a crown with moss and a birds nest. So creative! 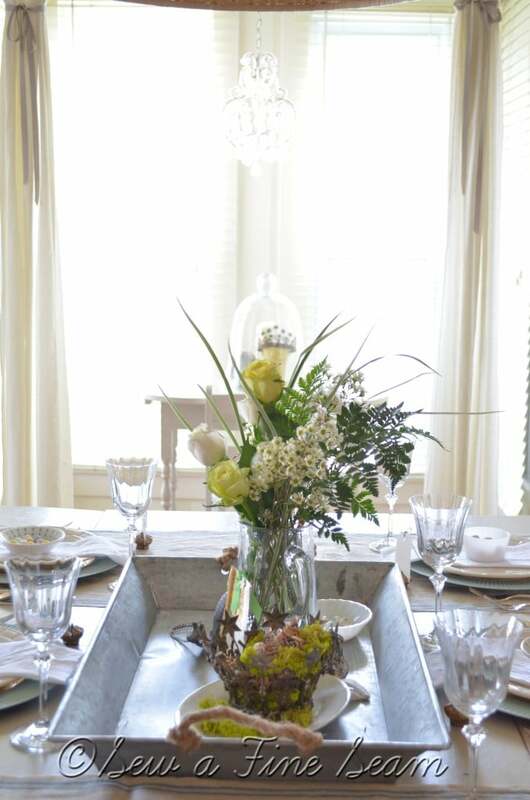 I like the galvanized tray with rope handles used as part of your centerpiece too. I actually have one on order and after seeing how you used yours, makes me excited to get it! I have never set a table just for a photoshoot, but I know plenty of people that have. I should try it sometime. Thanks Kelly! Can’t wait to see some pics of how you use your tray! Aww, thank you for going to all the trouble for us!! It’s beautiful and inspring! Yes, I get it and have done it! I put our Thanksgiving table together early and kept a sheet over all of it for a week! Thanks Pam! Putting a sheet over it is a great idea! Yep, a little nutty! But we have fun so it’s an ok kind of nutty right?!!! Jill, I just love your house. I really do. I think the word “inspirational” is a little over used in the blog world but honestly? Your photos INSPIRE me to get moving and DO some of the things I have in my head around here. You live in such a lovely space – I want to make this place more lovely, too! Awww, thanks Breida! Glad you can’t see all my piles right now!! HEEHEE! Your table setting is beautiful. Your details are wonderful. You seem to be very thoughtful in what you do and I love that. I love thinking through what I am doing and why I am doing it. Beautiful! Poor girls just wanted to eat at the pretty table! 🙂 I’m glad you had sun, even if it was for just a little bit. 🙂 They get a little tired of Mom doing fun stuff for ‘the blog’ and they can’t touch!! But sometimes they pull the fun stuff out and set a table just for a plain supper so it’s all good! Beautiful! ! I love your home and the sunshine! My two favorite things… the crystal goblets and the cadbury eggs 🙂 I have the same goblets that T bought me many years ago before we were married (still like them!) 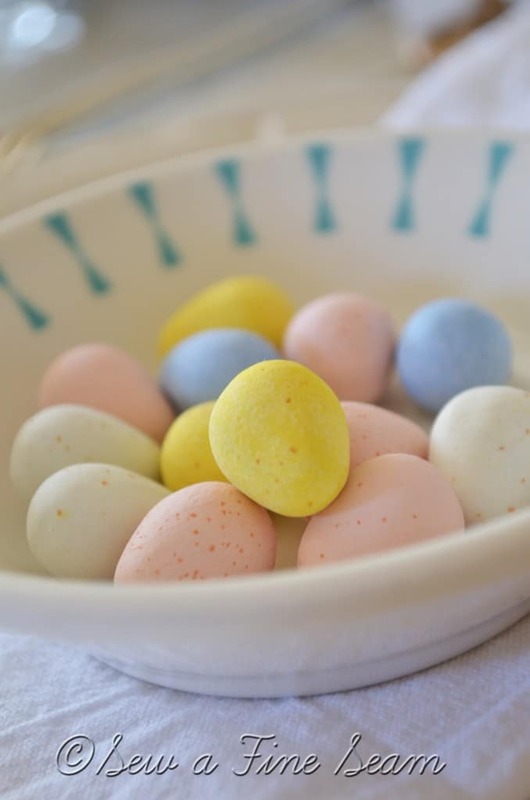 and I have a love/hate relationship with cadbury eggs..they are one of my “must-have” treats in the spring! I think of you about every time I get those goblets out! I think you have a couple of the wine flutes too? I so wish I had gone ahead and bought us a couple. 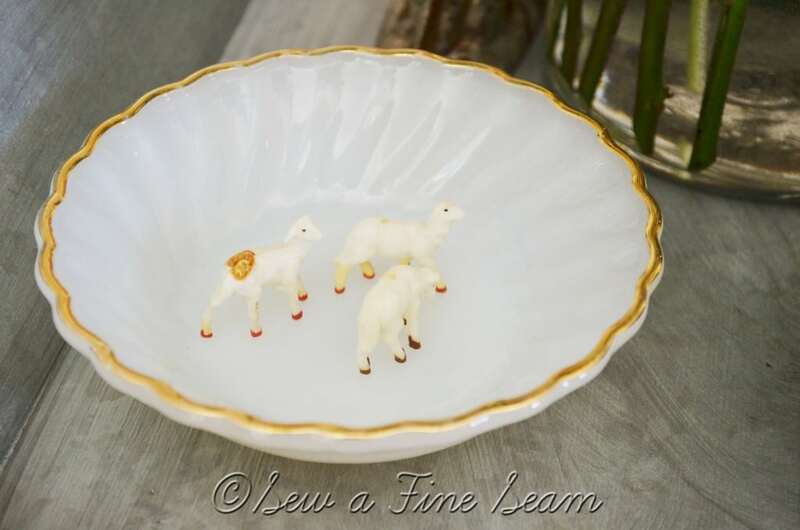 I thought about it – wanted to use them for our wedding – but decided to save the money and use something I already had. Now I wish I had them! Oh I know Diana, I know! I keep thinking of things I could do just for the blog – and it’s really so much fun! Whatever did I do BB??!! 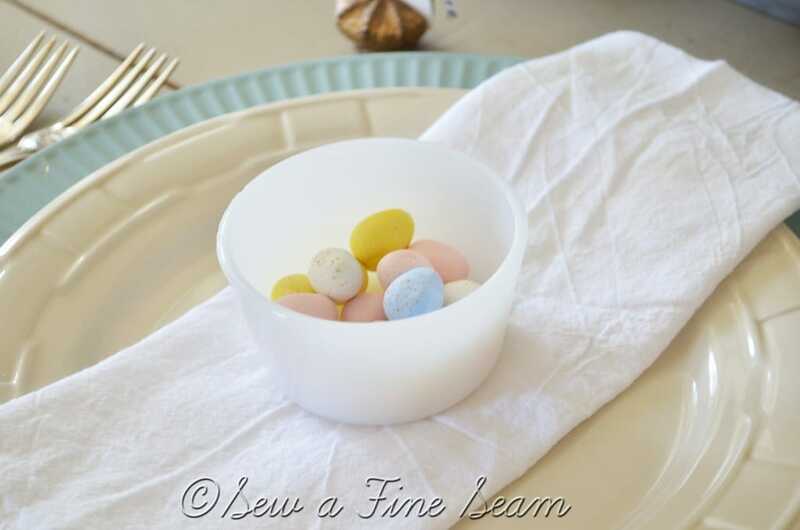 I adore your fancy Easter tablescape, dear one! 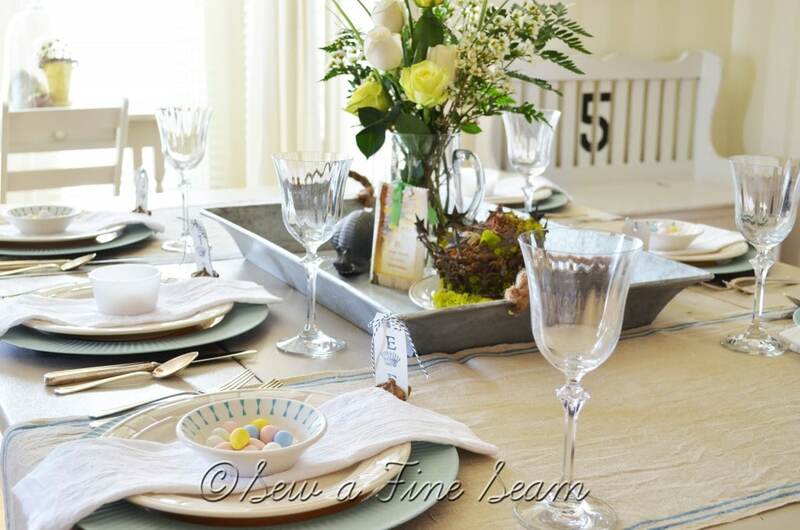 I agree, set the table for your girls and your husband…surprise them…it will make the most precious Easter memories!!! Easter is all about SunRise service, celebrating that He Is Risen, indeed!!! Be blessed…visiting from Amy’s All Things Home! Your table looks so gorgeous! Well worth the trouble and the ignorant girl at the flower shop. What’s a blog? Come on! Beautiful! I love setting a pretty table. I’ve never done it just for a photo shoot. My backgrounds don’t look as good as yours do in photos. The flowers are awesome! 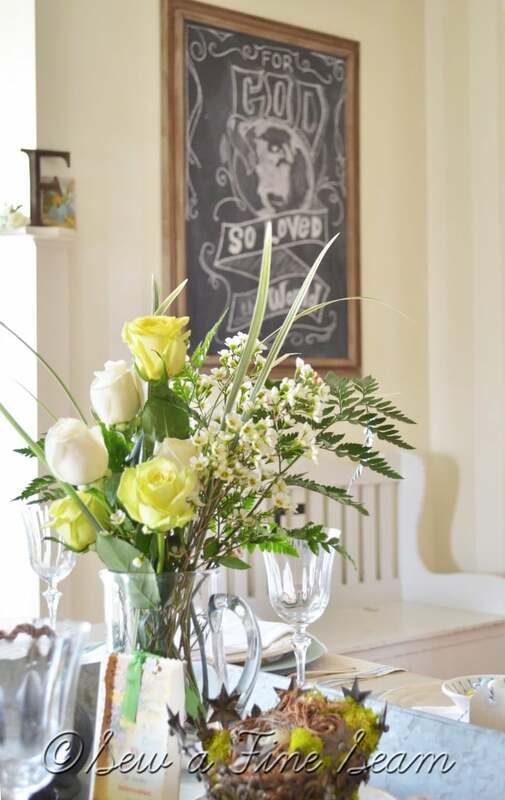 And I am in love with the photo of the flowers in the foreground and your chalkboard art in the background. I want a print. I recently heard of the idea of leaving your dining room table set with dishes all the time. If I had a dining room where that was possible, I think I’d do it. How fun it would be to look at and fix for each season. I loved having the table set beautifully and with it set it couldn’t get loaded down with other stuff! Alas, we do need it for lots of other stuff so I can’t leave it set but if I had a dining room that was JUST a dining room I think I would leave it more often! I used to think a dining room that was not used for anything else was wasted space but I’ve changed my mind. it could be my staging/photography room for when I needed beauty shots! Looks great! Did you do the design on your chalkboard freehand? It looks amazing. I’d love to see a bigger pic of it so I can try to duplicate (ok attempt to duplicate it!) it on my chalkboard. I did the chalkboard freehand except the circle for the world I used a large bowl and traced it. And I had a photo of one to look at as I did it too. It’s not original to me! You can see my post about my chalkboard art here – http://www.sewafineseam.com/2012/12/chalk-board-art-for-christmas/ and I have linked to the original in that post. Your tablescape is beautiful, and those chargers came out so well. I was thinking of painting mine too. 🙂 My kids are already getting used to it – anytime I have my camera out they know it’s for the blog! Anytime they want me to take pics of something they don’t say take a pic they say – Mom put this on your blog! That’s so funny Jill. Yes, I’ve set a table for the blog three times now, but didn’t ever post the first two. You’ve inspired me to go ahead and do it this time. I really love the painted chargers. Is there anything that doesn’t look good in Duck Egg blue? 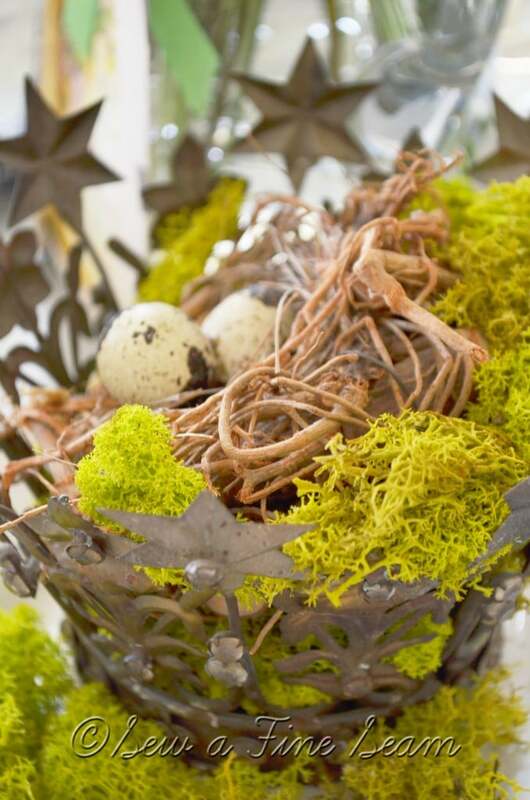 I also love that little crown with the nest, and fresh flowers always make a table. It looks so pretty and effortless, and welcoming. What a nice table to sit down to. 🙂 Thanks for the inspiration and enjoy the rest of your week! We are a funny bunch, we bloggers – LOL! It’s fun though – so much fun! The answer is yes. I just did this last week, but still waiting for my sunny day to take photos. But before I do, I need to dash out and buy new flowers. Your tablescape is divine. And why have I never thought of painting chargers with chalk paint? Totally rocking my world with that idea. On sunny days I scurry to get the photos taken I need to it seems! Can’t wait till we have more sunshine than cloudy days again. I had read about people spray painting their chargers but since it was cold and i didn’t want to go outside I though why not use chalk paint!?! 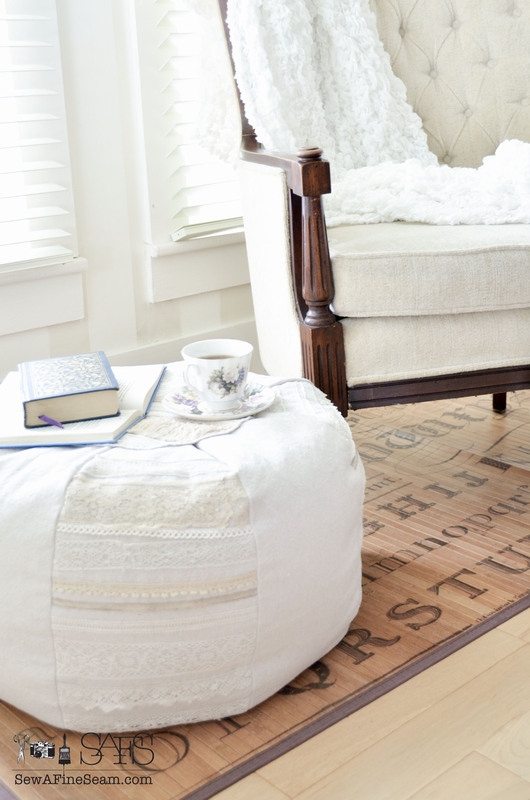 It dries fast and you can use it indoors! 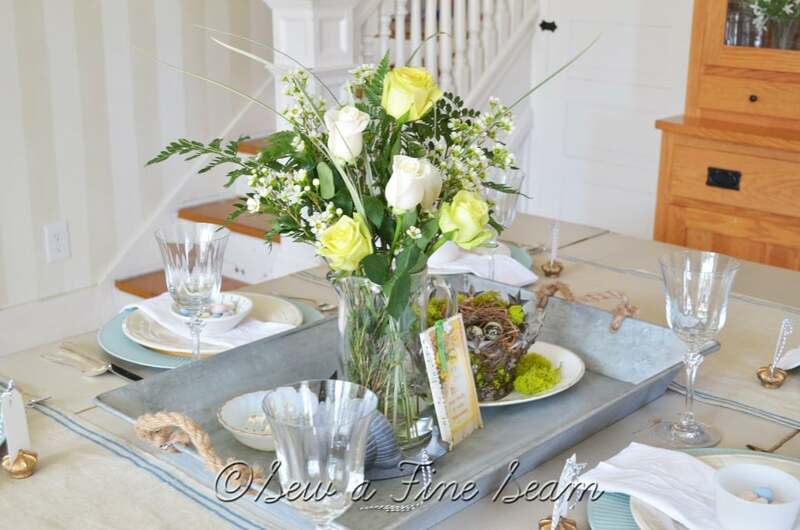 Your Spring table is beautiful! Love the chalkboard too. Thanks for linking to the Open House party. Thanks Sherry, and thanks so much for hosting a party! 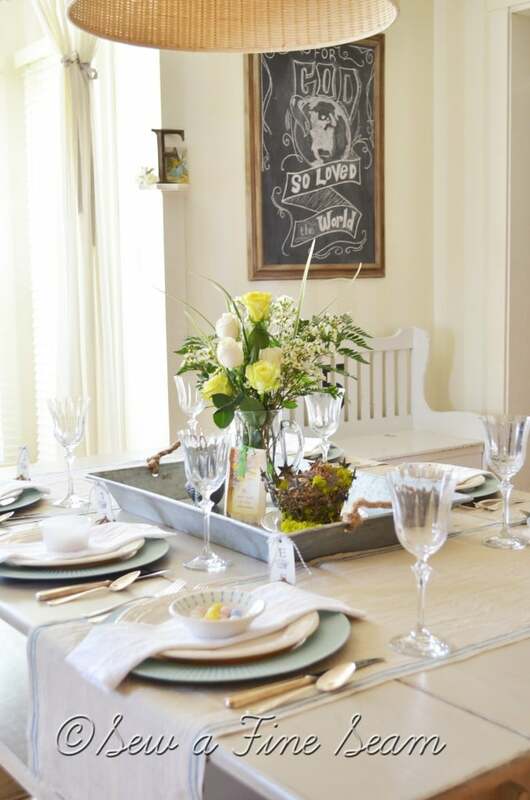 Love love love your tablescape! Its so nice to see spring inspirations….especially after a large dump of snow! (Grrr!) And I think my favorite is your runners! Are they Diy? If so can I beg a tutorial? Thanks Misty! We are getting snow today – I want sunshine and warm weather!!!! The runners I used on my table were cut from a really long roll of fabric I’ve had for awhile. It’s already like that – I simply cut the lengths I wanted. I got the fabric from BHLDN over a year ago when they clearanced it. Love your table. I do the same thing, but now my son explains to his Dad-you have to set the table a week early if you have a blog. Enough said! Haha! That’s funny! My kids are pretty used to the blog thing now too. Anything they want me to take a picture of they always ask if I will put it on the blog! Thanks Catherine! 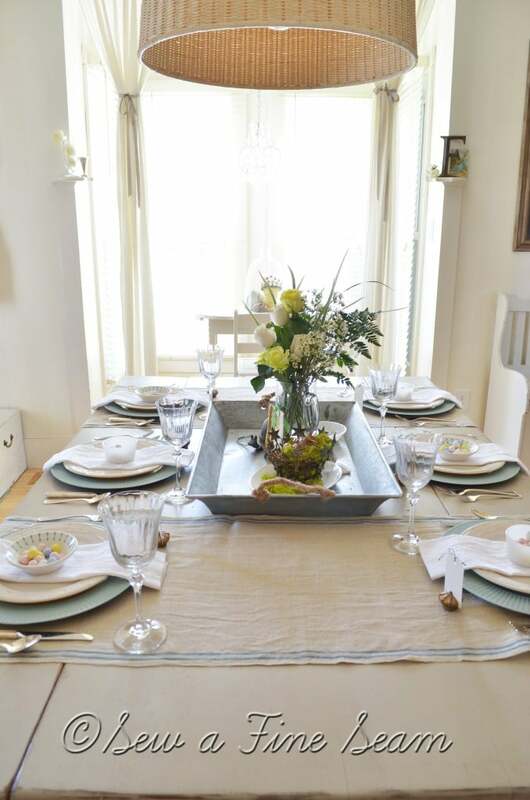 Pam from Simple Details said she set her Thanksgiving table early and then covered it with a sheet to keep it clean – isn’t that a great idea! so the plates and cups don’t get dusty! 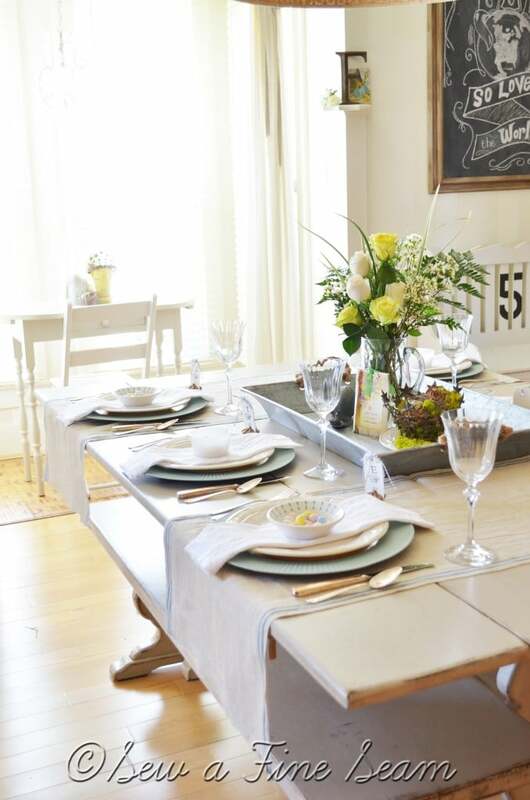 Thank you for sharing your beautiful tablescape…love those thrifty chargers. Your table is so pretty! I love that you painted the chargers, I have to remember that one! And your centerpiece is so interesting and sweet. 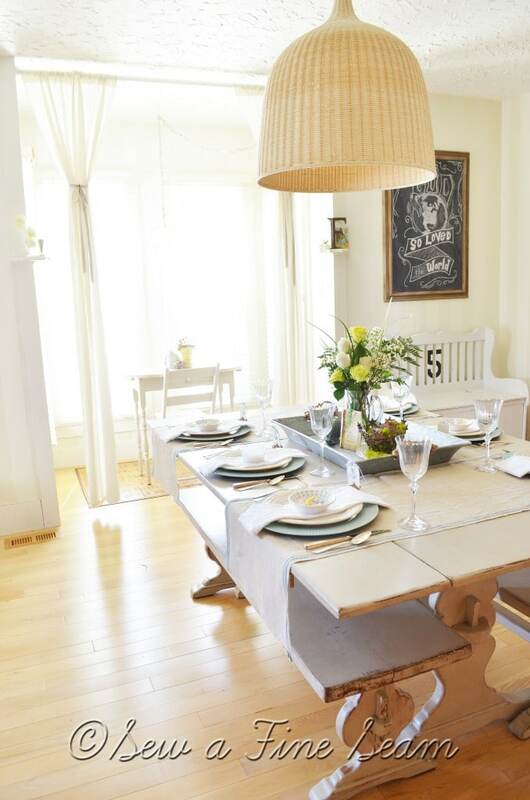 Thank you Jane, and yes, you can use chalk paint on practically everything! Oooh, I love table settings like this, Jill! So simple and yet special and unique. 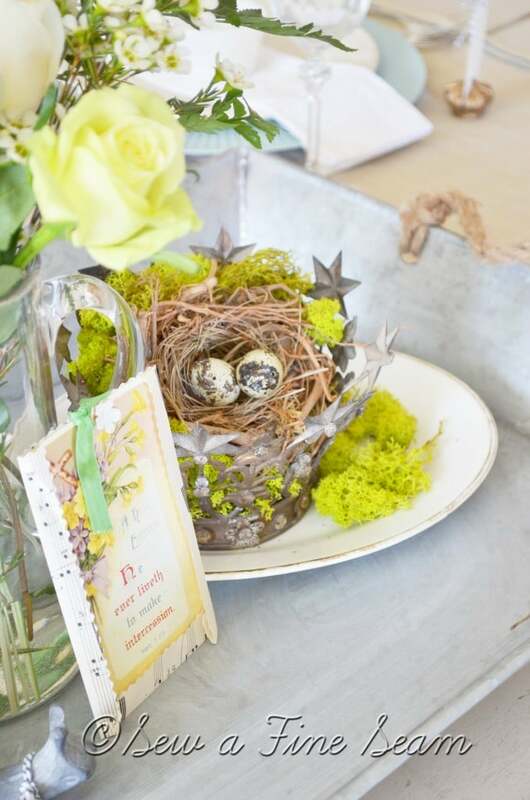 Here’s what I’m stealing from your idea: the little mismatched bowls of candy eggs and the galvanized tray with flowers, nest, and goodies. 🙂 Thanks!! Thank you Jami! Glad you liked it – steal away – love the inspiration we can get and give through blogging! Vising today from Common Ground and I am smitten! What beautiful taste in decorating you have. Just lovely, inspiring and a true joy to visit! Thank you Jemma! I had so much fun setting up this table! Your table is absolutly stunning! Featuring later today. 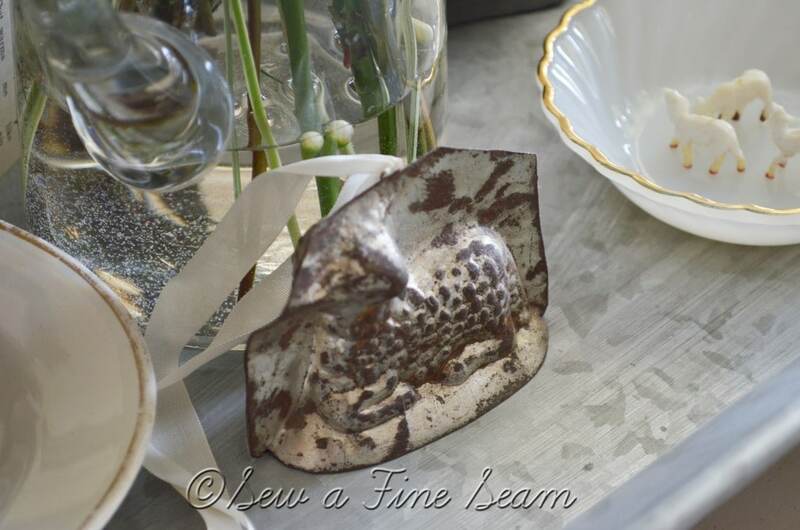 Thanks so much for featuring me Kristin, it was so fun to see my table featured on your blog! Blessings to you and your family! Everything is so lovely! I love the idea of painting the chargers. 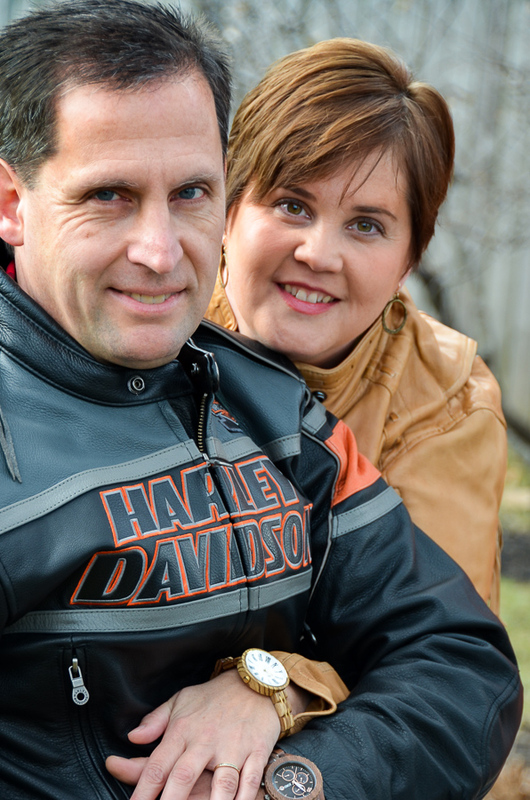 Thanks so much for linking up at Transformed Tuesday. Have a wonderful week.